Labor pain management can mean different things to different people. From the natural parenting perspective we focus on what you can do to manage the discomforts of labor naturally. If you talk to your obstetrician, they will likely focus on how and when an epidural can be inserted, etc. What you need to know is that ALL pain medications will reach your baby. Yes we know that this information is wildly unpopular. Hopefully you are willing to read further. Yes, it is also common for women to be told that epidural anesthesia does not reach the baby. This is not true! If you have any doubts about this check out Dr. Lennary Righard, M.D.’s study published with midwife Margaret Alade in The Lancet (1994) which looked at two groups of babies, one unmedicated and the other medicated. By watching the DVD Delivery Self-Attachment - that was released about the study – you can clearly see that the unmedicated babies are much more active and make eye contact while the medicated babies are severely less able to bond or breastfeed effectively. We also suggest you read our page about epidural anesthesia for more information and references to key research studies. Women just like you have successfully delivered healthy babies without any pain medications or interventions. 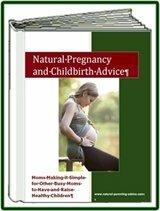 This eBook will tell you everything you need to know to have an amazing pregnancy and the birth of your dreams. Even if your plan is to accept pain medication for labor pain management, you should consider at least putting it off for as long as possible. The longer you receive the pain medication, the more it will impact your baby. In addition, the longer you receive the medication, the higher your risks are for having a cesarean section. For more information about the problem of cascading childbirth interventions where one leads causes the next read Understanding & Navigating the Maternity Care System – Cascade of Intervention in Childbirth. Now that you know about the negative effects of pain medication on your baby, you are probably starting to panic thinking How am I going to deliver my baby? I can’t take a lot of pain! Don’t worry! Pain medication has only been around for a few hundred years. Women (just like you) have been delivering babies for millions of years! How did they do it? They learned how to use breathing, relaxation and positions for labor pain management. 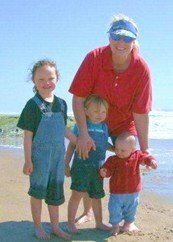 It’s simple, the tips and techniques we will discuss here have been used for thousands of years and empowered women to help both their baby and their own body during childbirth. In days gone past you would have learned these techniques from your relatives. You would have seen many women giving birth long before you reached childbirth age yourself. Here is a great video that explains why women today fear childbirth and how that fear leads to bad decisions regarding labor and delivery. Now that we have hopefully convinced you that pain medication during labor is bad and that there is no need for you to fear childbirth, let’s talk about what you can do to reduce your childbirth fears and educate yourself about natural labor pain management. You need to do the following four things during EVERY intense labor contraction while your cervix is dilating. By intense we mean that you can’t carry on with your normal activities. Get into a good position - before each contraction and then do not move during the contraction. Completely relax your entire body - so ALL your energy goes to your uterus – the only muscle that should be working during labor. Concentrate on relaxing your face in particular as jaw clenching and eyebrow furrowing are often the first places where women tense up. Use abdominal breathing - concentrating on breathing down into and expanding your belly before expelling each breath slowly. Encouragement - make sure you have a companion – It could be your husband or a doula or a friend that is experienced with natural childbirth. Ensure you have a companion continuously with you from when you have to concentrate on labor thru delivery to provide reassurance, a gentle touch and encouragement. Sounds easy, right? Well it is and it isn’t. Each component is easy, but for optimal labor pain management you need to have practiced all four components ahead of time. Relaxation in particular is essential to practice, especially as you deal with the discomforts of pregnancy. If you have been practicing relaxation it will come naturally during contractions. If not, it is much easier for you to tense up during the contraction causing yourself unnecessary pain and fear. Sign up for a Bradley Method of Childbirth Preparation Class – the best education for preparing your body as well as your birthing partner. Bradley method classes also help you labor pain management as well as with birth planning and evaluating all your options. Purchase HypBirth – our favorite mental and physical relaxation solution to help you focus and relax your mind. By listening to the hypBirth CD’s as you prepare for childbirth you will approach your big day feeling relaxed and confident. Evaluate ALL your Childbirth and Delivery Options. Ensure that your birthing location and birth attendants are the best match for your own childbirth desires. If you set yourself up with a birthing situation that you trust, it will be much easier for you to relax. Be sure to evaluate all of your alternatives including delivering at a local birth center and home birth. Unless you research it, you are unlikely to learn that a planned homebirth with an experienced midwife is as-safe-as, if not safer, than hospital delivery. Do you have a burning question about childbirth? Ask it on our Natural Birth Forum page!